We accept CASH ONLY. No Debit or Charge Cards. ATM available for your convenience. The Pretzel Shop has been open since 1927. Located on the city's Southside, we still bake our pretzels in the original brick oven built in 1872. Our Pretzels are hand twisted and hearth baked daily. 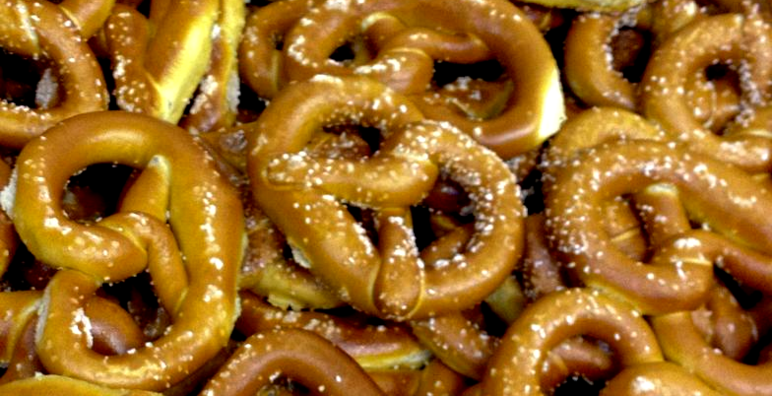 The original Pittsburgh Pretzel was once a staple to anyone walking the streets of the city and the Southside. They were first sold by street vendors on the city corners. Today they can be purchased at our store at 2316 Carson St and a few local grocery and convenience stores. We also have a full line of sandwiches, salads and baked goods.